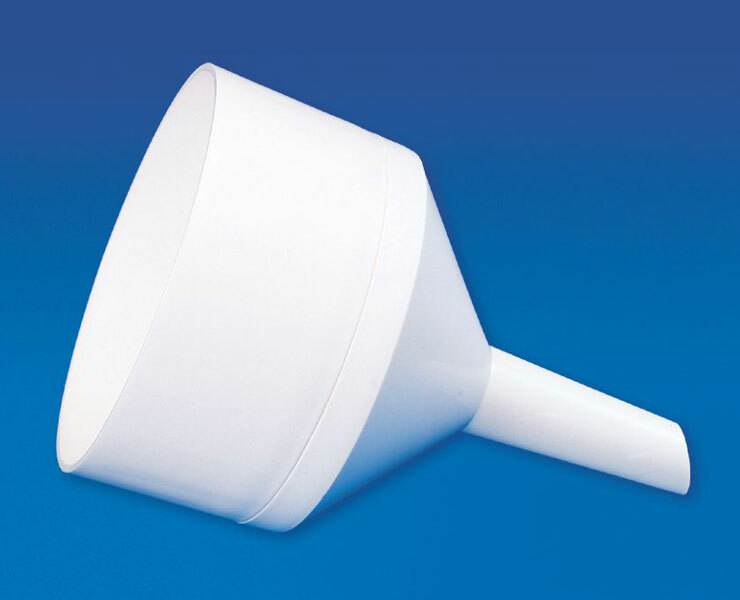 Molded in Polypropylene, our Buchner Funnel are highly sought after funnels in the market. These two piece Buchner Funnel are light weight, easy to clean & autoclavable. The top portion can be snap fitted with the lower one forming a vacuum seal which does not require greasing. The base of top portion has a perforated filter plate.